Accor took the same position recently with lifetime Fairmont accounts, but caved when I got lawyers involved. I guess we'll go down the same path here and see where it goes. Amazing that UA is always happy to copy the bad of Delta but never their good. Interesting I thought someone said they WERE going to grandfathering in LT million miller members. How are you a LT UC member? Miles? I like the local "carve-out" great people in CLE club. Anyone out there get their LT UC the same way I did? I have no recollection at all what was promised at the time! I bought it in ~1990 with 100,000 EA miles (Ionosphere Club). When ONEpass was created, it was absorbed into the CO Presidents Club network. 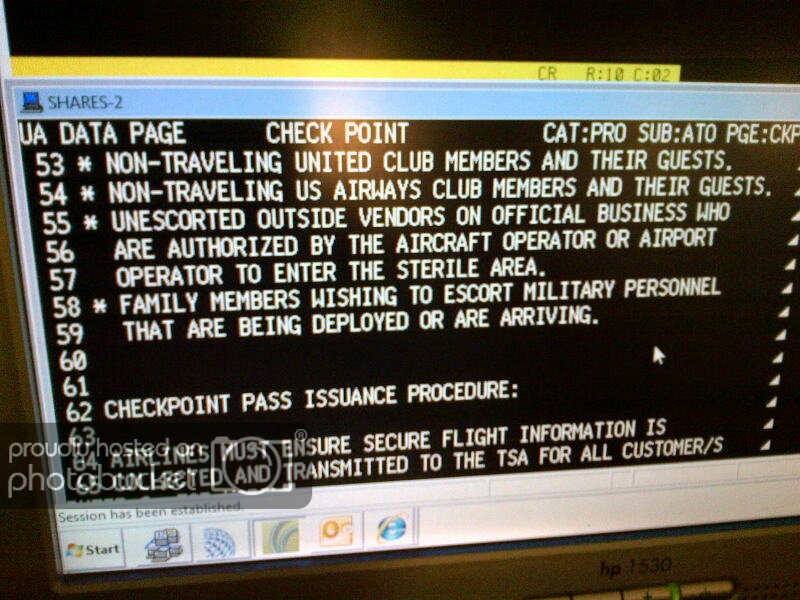 Then with the UA merger, it became a LT Red Carpet Club and finally United Club membership. No complaints -- I've certainly gotten my miles' worth over 30 years! UA will not be grandfathering in lifetime club members (though they did offer me a carve-out at my local UA club). Delta did not make a decision for life members until the last minute, either. I’m optimistic that ultimately UA will follow suit. How many lifetime members can still be out there? The variable cost of food consumption and impact of crowding just can’t be that great. Thanks for pursuing. I'm with you on fighting this to November and beyond. What I haven't seen mentioned here is the failure of two separate lawsuits against UA brought by "lifetime" members of Silver Wings. I was one of two named plaintiffs in the first of the suits. We lost because we could not come up with any paperwork documenting the T&Cs of our original signup. The onus was on us rather than UA. Ironically, I finally found my old Silver Wings membership card just a few months ago, but even that didn't include T&Cs so I doubt it would have made a difference in the outcome. In a subsequent suit, summary judgment was granted against the plaintiff. My last post on the topic is here. Judge Hamilton: To understand the difference between lifetime and fingers crossed? That lifetime doesn’t mean lifetime? Judge Wood: Unless we change our mind. Judge Hamilton: Unless we change our mind. I have no idea if those judgments have any relevance to the lifetime club memberships but bring this up FWIW. I do wish the affected lifetime members well. I can empathize. Paid cash for it to CO in 2007. I'm told this is UA's final decision after researching the issue for the past 5 months since I brought it to their attention. Do we have any lawyers that are lifetime club members? ​​​​​​​I don't think I ever got any paperwork from CO.
One thing in our favor is that the paid club membership had nothing to due with flying, We were allowed to access the club at any time, even if not flying. The deregulation act shielded UA from other lawsuits that had to do with flying, but I would think this falls outside of that scope. Yeah, UA is very emboldened not losing any of the "lifetime" suits - and they'll simply argue in this case the members still have lifetime status, but access rules are changing - and they'll claim T's and C's allow them to do that. I think the CO paid memberships will need to show T's and C's that grant unlimited access for any reason and CO not having a right to make modifications to the agreement. Then again, November is still a long way away. I bought a lifetime membership from CO. I don't recall getting any paperwork. It was an on-line purchase and I know I didn't print whatever T&C that were displayed n the web site. The reason they won those suits was because of shielding from the deregulation act. We'll need to consult with lawyers, but there's a decent chance that a paid club membership that did not require any flight may not enjoy that protection. UA may want to settle quickly if we can pierce that, as they don't want to set a precedent that can wind up hurting them in other cases down the road. Same as my recollection. I have an email receipt for the purchase from 9/19/07, but that's it. Does anyone recall getting terms for their purchase? I think it's pretty tough, especially in light of previous holdings on the ADA to argue that the Clubs aren't a "service" of an air carrier -- its not inconceivable that the "service" at play here can be distinguished from the "service" in, e.g., American v. Wollens -- but it doesn't seem like it's that easy of a distinction to make -- both the FQTV program and Club are clearly ancillary services that aren't intrinsic to the basic air transportation. A further nail, from my perspective, is that Wollens cites Morales v. TWA as "...defin[ing] the 'relating to' language in the ADA preemption clause as 'having a connection with or reference to airline `rates, routes, or services'." Not that I agree with the "lifetime isn't lifetime" posture (and I really don't like the move for the couple times a year I can't fly UA for whatever reason) but I don't think getting around the ADA is likely to be a successful endeavor. Further to the point of the preceding p st, the stated reason for discontinuing gate passes for members who were not traveling was that the TSA was clamping down, not that UA had any problem in issuing them. In fact, one of the reasons I ended up buying my membership was to get gate passes to go airside and visit a club when I wished to do so. Actually, this just gets you a gate pass to get through security. But ability to get gate pass reflects the membership. And as we all know, UA has a hard time synching all their rules. In order to get the gate pass one had to show a club membership card. Often agents would call the club to verify access to the club. The two were absolutely c nnected.